I had some people inquire about my Harlem Renaissance unit in which I played Tupac for the kids. I'll give a little background to the unit before I explain how and why I decided to integrate Tupac into my Harlem Renaissance unit. I teach in a upper middle class suburb of Detroit, Michigan. 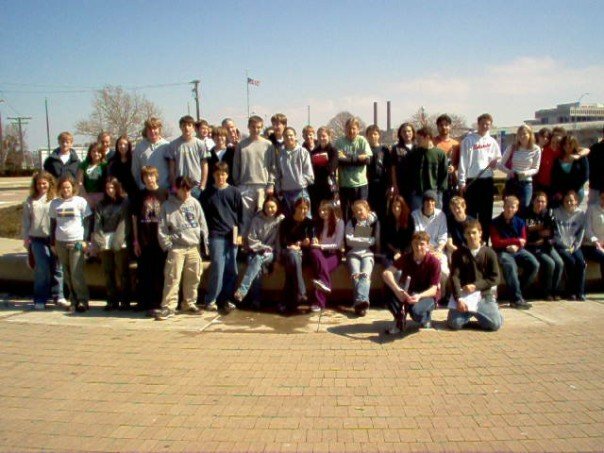 While diversity has started to make its way to my school, the vast majority of my students are white. I think our school district does a great job at keeping the curriculum diverse so that our student population gets a taste of various cultures they might not normally experience. In American Literature, there is a nice unit on the Harlem Renaissance, but I always felt that my students were just too far removed from the meaning of the poetry and essays to truly understand how Hughes or Johnson felt. In 2007, I found this great article by James McBride in National Geographic. "Hip-Hop Planet" takes an interesting look at the culture of Hip Hop around the world and touched on many of the same themes that are explored in the Harlem Renaissance unit. By understanding the cultural significance of Hip-Hop and Rap music, students could understand the relationship Jazz and the Harlem Renaissance had with each other. I was happy that the students could make the connection between the article and the unit we covered, but I still wanted them to connect to the Art that was created during the Harlem Renaissance. Self-Expression is very important to high school students, but they are hesitant to recognize it in others. This is where Tupac comes in the picture. I was born in 1979 and grew up during a very interesting time in music. Hair Metal was rolling right along and a new branch of Rock was emerging from the Pacific Northwest that I loved. Rap music was taking a very political stand on many different songs. "911 is a Joke" and "Fight the Power" by Public Enemy stood out from many other songs that were speaking about the neighborhoods people were living in but society ignored. Most kids today are not very familiar with Public Enemy so I needed someone a little more current and I decided to go with Tupac. Tupac is a very interesting rapper. He has some songs that are not appropriate for kids to listen to at all in a school setting, then he has others that send such a great message to everyone. "Changes" is the first one I play for the students. It really talks about the struggles of African Americans and the lives many lead because they do not have options. It has spurred some of the best conversations of the year when kids think about the meaning of the lyrics. I especially love the part where he says, "The world is not ready for a black President." It speaks even louder today than it did a few years ago when I taught this lesson. I also play "Keep Ya Head Up" for class. Another solid message about treating woman. It's a wonderful message that really gets the kids thinking about what might spur someone to write a song like this. It also introduces many students to music they might never encounter on their own. The link might seem like a stretch, but self expression through distinct cultural mediums was as much a part of the 80's and 90's in African American Culture as it was during the Harlem Renaissance. As each year passes, we are moving further and further away from "The Classics". Connections need to be made for students so they can reach "The Classics". Sooner than later, an entire overhaul of English Departments is going to happen because Literature keeps going. In other subjects, much stays static without worry of new material, but the libraries need to get bigger and new books need to be considered so the themes and ideas of relevance can be passed to a newer generation. Until that time comes, look at making connection to older pieces of literature with articles and the occasional rap song. P.S. 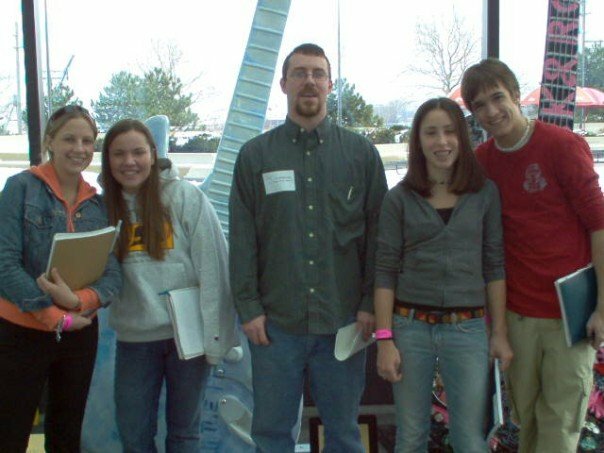 I just remembered something else I used to do for this unit until the school cut back on the number of field trips allowed per year. 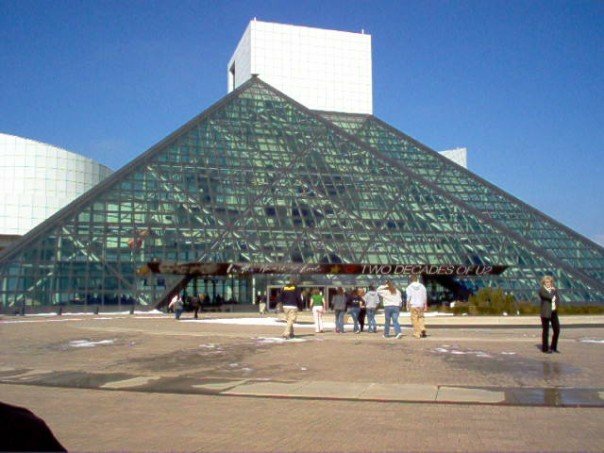 I used to take the kids to the Rock and Roll hall of Fame for a day. It's an all day event, but it was so much fun. Here are a couple of pictures back in the day. The Rock Hall had a great exhibit on the roots of Rock and the connection to Jazz of the Harlem Renaissance. It was a blast while it lasted and it is one of the things kids talk about when they visit. Enjoy the pics. This is such a terrible picture of me. I can't even believe I'm posting it, but it's the only one with me in it. 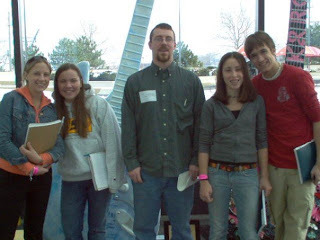 Looking very professional in 2003/2004. Nick,this is such a neat way to help kids build empathy and understanding for other cultures. Awesome connection to something that they know and can relate to. I would love to be a fly on the wall during that lesson! They may not connect with poetry directly but they would be a route that might interest you and your class. What a great way for students to gain some insight into what other people feel and how they live. You know, if more people did this, then there would be no wars! Nice work. There is also an incredible anthology of Tupac's Poetry. Very similar to his albums but in written form. Some not so appropriate for school. Others so emotional and culturally powerful that they must be taught in a classroom. Great choice bringing this experience to your students!!! I teach in an inner-city urban school. Our ELA and Social Studies are doing a joint unit on the Harlem Ren. I'm forwarding this post to both of them. Lastly, lyric study is always good. I have young men reciting lyrics about killing, young ladies rapping about being a stripper. When we actually read the lyrics and pay attention, they change their belief system and how they want to present themselves.